Managing change is always hard. 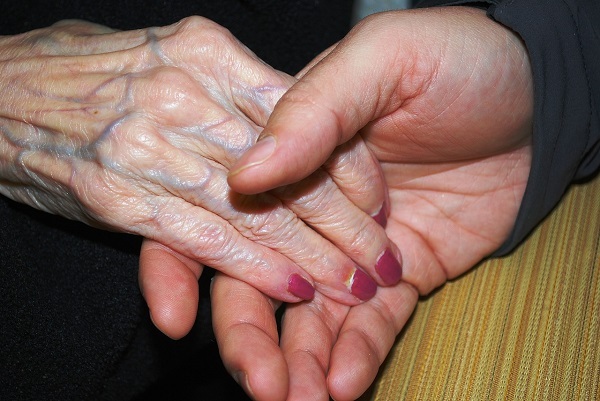 Combine that with emotion, ageing and family relationships and it is not surprising that one of the most frequent questions I am asked is “How can I improve my relationship with my elderly parents?” Often parents reject offered help, despite obviously struggling. In other cases, a parent will demand more than we feel able to give. Or caring for a parent can cause resentment between siblings if only one lives near. I’ll deal with each of these in a separate post. First, why is it so hard? We are torn between compassion and independence. People are reluctant to talk about problems as others are quick to judge. We recognise and want to meet our parents’ needs, yet also have ourselves and others to think about. So, we deny our frustrations. We beat ourselves up for being resentful. Or we justify our actions or omissions. And what happens…our relationship deteriorates. Or perhaps we never had a good relationship. Now we feel we want to make amends or make one last try to get the approval and love we longed for as children from our parents. Lifespans have lengthened rapidly. The parents of the elderly of today died in their sixties or early seventies. Medical advances mean that even those with severe conditions are living with disability for longer. Women are having children later. The ratio of elderly to working age is changing. Families are smaller and live further apart. Now an individual may be caring for a child, a parent and a grandparent. The way our parents lived is so very different to the way we live now. We struggle to find that fits our ideals about caring for elderly parents and takes into account all of these variables. There is a reason why the flight attendant tells you to put on your own oxygen mask first. If you don’t make sure you survive, you cannot help anyone else. Yet for carers, it is very hard to do this. However, if you do not look after yourself physically and emotionally, you will become ill and/or resentful. Even before this stage, it will start to leak out–either to your parents or to others in your like. As people grow older, the balance of power and ability changes. The roles may become reversed. The person whom we turned to for support now needs our help. Our identities are shaped by our relationships and roles. It’s all new territory and no one knows what the unwritten rules are. First, set aside some time to think about your situation honestly and openly. It can help to talk to someone who will just listen, giving you a safe space to figure out what you need. Instruct your listener that you don’t want advice, solutions or opinions. What you need at this stage is to get all your feelings out without editing them. Writing is another way to express your emotions. You will find that acknowledging your feelings reduces some of their power. Think about how you would like to feel. Recognized? Loved? Appreciated? Understood? It may be you want some fun. Work out what you need to feel that way. Brainstorm new ways of getting this feeling as well as existing. The only way to change someone else is to change ourselves. It’s surprising how changing our viewpoint can change our behaviour and improve relationships. I finally realised that my mother would never be the “ideal mother” I had wished for. So instead, I thought of her as a person that I didn’t know, not a mother. I discovered I really liked her and our relationship blossomed. We had been so busy trying to mould each other to fit the “perfect mother-daughter” relationship that all we saw were the bits that didn’t fit in. When I realised that my need was not for a mother like my friend’s, but love and connection, I found it. In my next blog, I will cover how to cope when your help is rejected. If you’d like to get it when it comes out, sign up here.